Tucked away in Kampong Glam is aROMA, a humble gelato store that features an alluring array of flavours such as Chocolate Chilli, Strawberry with Mint and Lemon with Basil. All their ice cream is made daily in-house using only fresh and natural ingredients. Awfully Chocolate does not just serve up delicious cakes and chocolates; they also have a delightful array of ice cream to choose from! 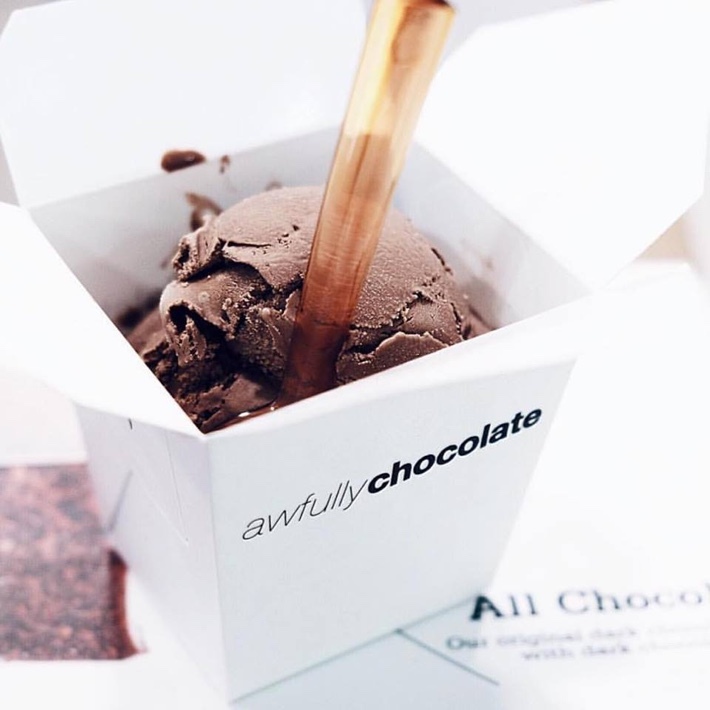 A crowd favourite that is a must-try is their Hei Ice Cream, which is a creamy, rich dark chocolate ice cream that is sure to satisfy your ice cream cravings. This pretty ice cream paradise is situated along East Coast Road, and it is highly popular on social media for its photogenic interior as well as its amazing ice cream. 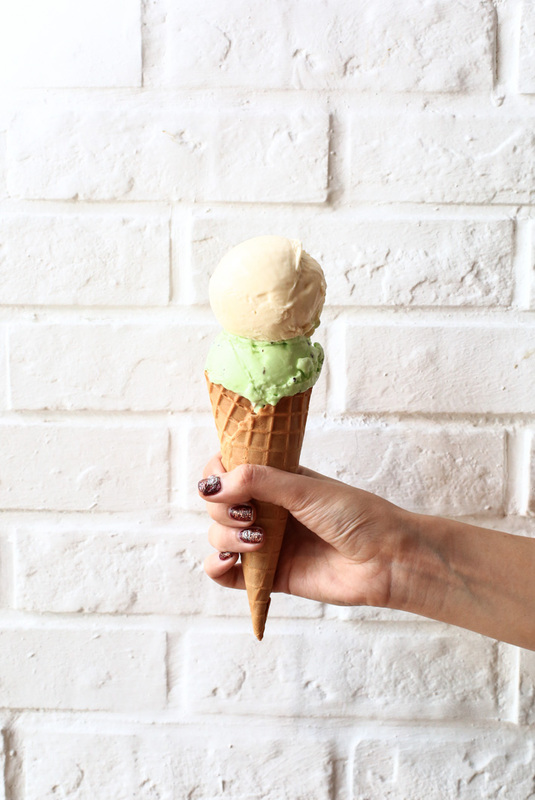 Their ice cream flavours are inspired by natural botanical elements such as Spiced Pear and Strawberry Basil. 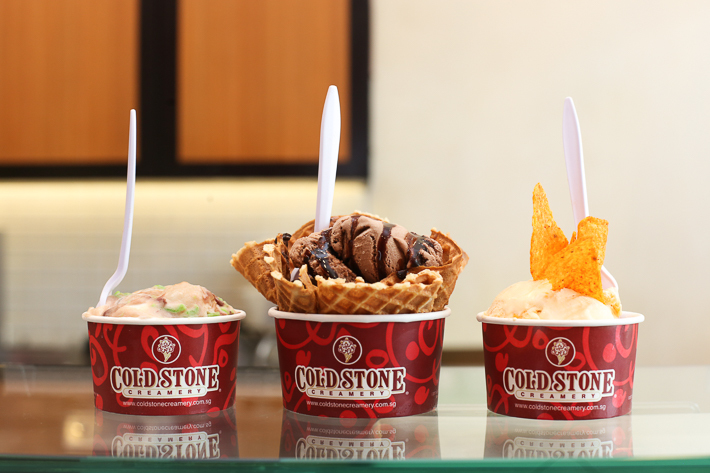 If you don’t know about Cold Stone Creamery, you’ve probably been living under a rock. This place proudly dubs themselves as “Ice Cream Innovators”, and they’re not wrong; all their ice cream is deliciously smooth, rich and creative. This place sells simple, creamy, homemade ice cream that will definitely satisfy any sweet tooth. Some interesting flavours that they offer are Sea Salt Gula Melaka, Earl Grey Lavender and Black Glutinous Rice. 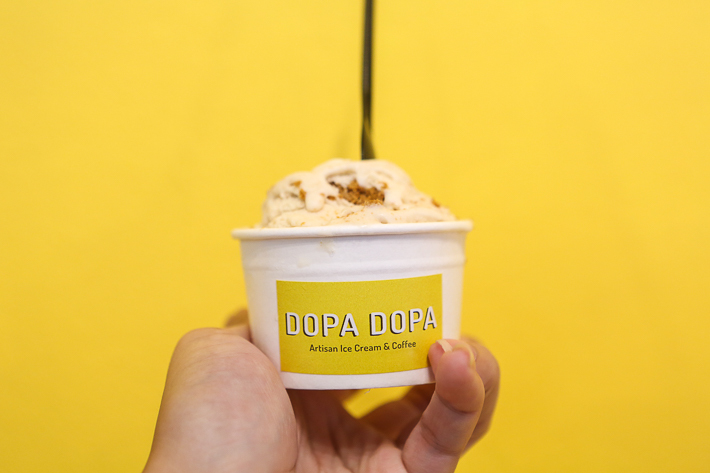 The newly-opened Dopa Dopa Creamery sells creamy artisanal ice gelato that are curated and made by an Italian chef. Despite their selective menu of only 8 flavours, these ice cream flavours will definitely please the most difficult sweet tooth. We recommend their Home Road Pistachio and Green Tea Toasted Rice. 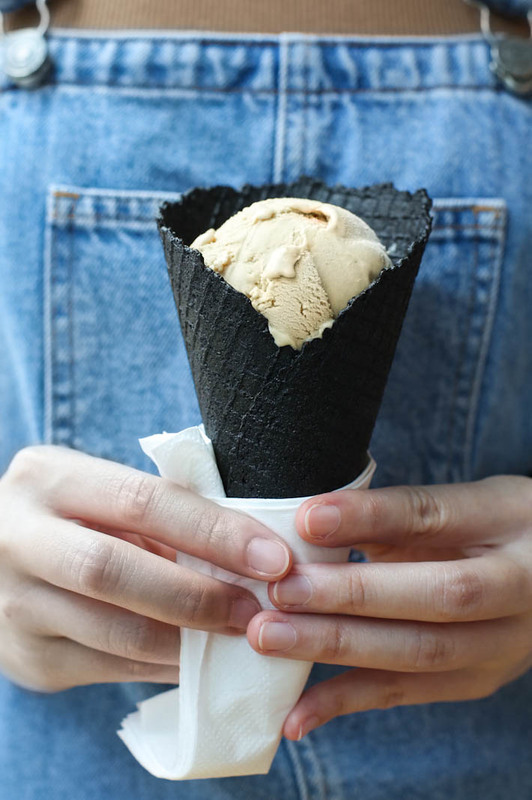 The heartlands of Singapore hold a plethora of hidden food gems, and one of them definitely has to be Double Scoops at Ang Mo Kio. Here, they offer a premium selection of low-fat gelato at very reasonable price such as Sea Salt Gula Melaka, Orh Nee and Speculoos. 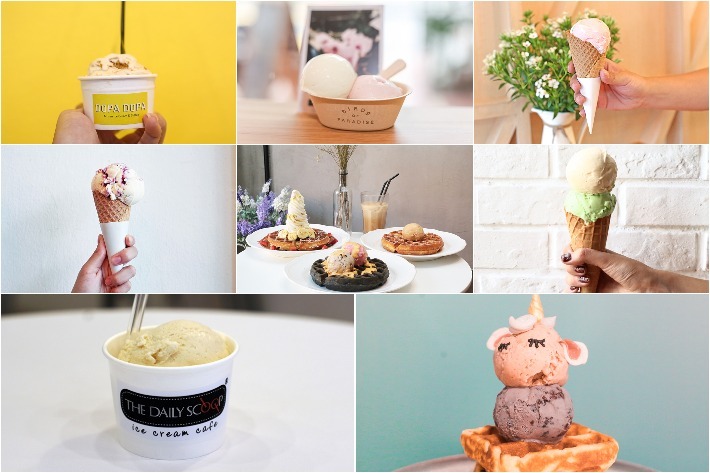 Another great ice cream place that is located in the heartlands is Fatcat, which is nestled in Bedok and is popular amongst the Easties when they need their ice cream fix. They have a variety of interesting ice cream flavours to choose from, and these all go very well with their famous charcoal waffles. 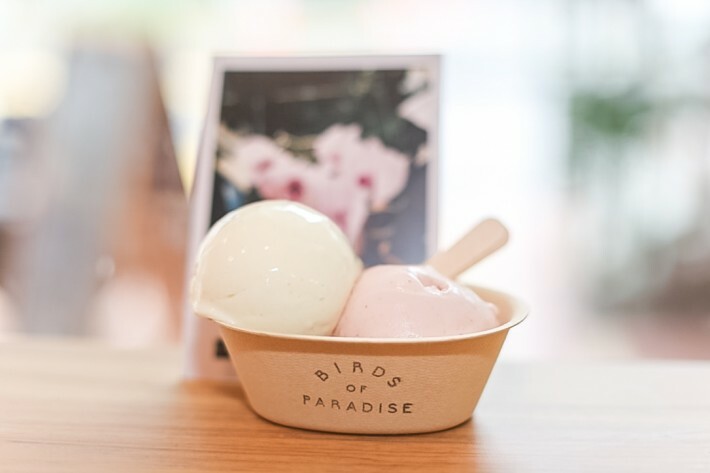 Hidden away in a HDB estate of Jalan Bukit Merah is Geometry, a rustic, artisanal ice cream parlour that boasts freshly handcrafted gelato with zero artificial ingredients and preservatives. They have a number of delicious options to try like Strawberry Pocky, Hojicha and the Milky Way. Ice Edge Cafe, unlike the other places on this list, does not specialise in ice cream. However, we have to give this place a mention as they serve delicious in-house baked brownies topped with creamy gelato. 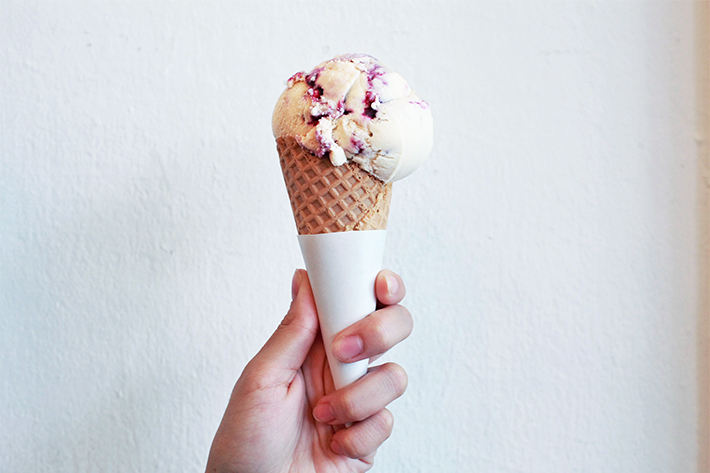 A household name that is not unfamiliar with to anyone, Island Creamery never fails to serve up some solid ice cream. However, besides just plain ice cream, another option would be to have their Chocolate Mudpie, which features layers of their creamy ice cream in a pie form with a delicious, crumbly cookie base. 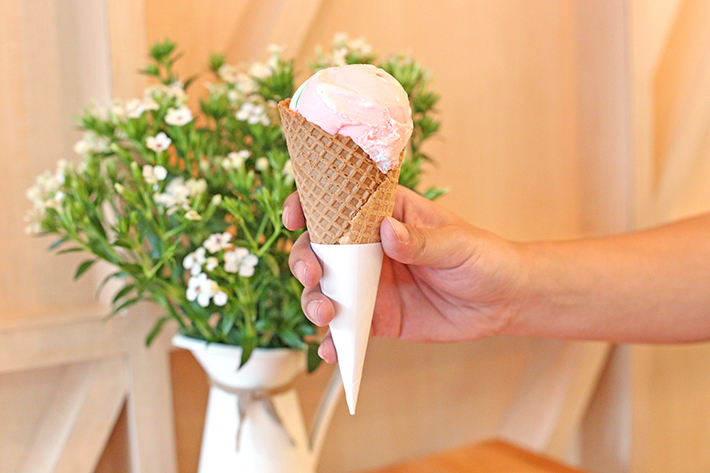 Located conveniently next to King Albert Park MRT is Kindred Folk, which is a charming ice cream cafe that sells an array of unique homemade ice cream with flavours such as Roasted Milk Tea and Wasabi. You can top up a dollar to have one of their Charcoal cones, which go great with their creamy, delicious ice cream. For all our Muslim friends out there, we have not forgotten about you! Here, we have Moosh, a Muslim-owned Halal soft serve shop that sells classic flavours such as Strawberry and Blueberry. Besides the classics, they also offer unique dessert-inspired flavours such as Crumbles, S’mores and Ondeh Ondeh. 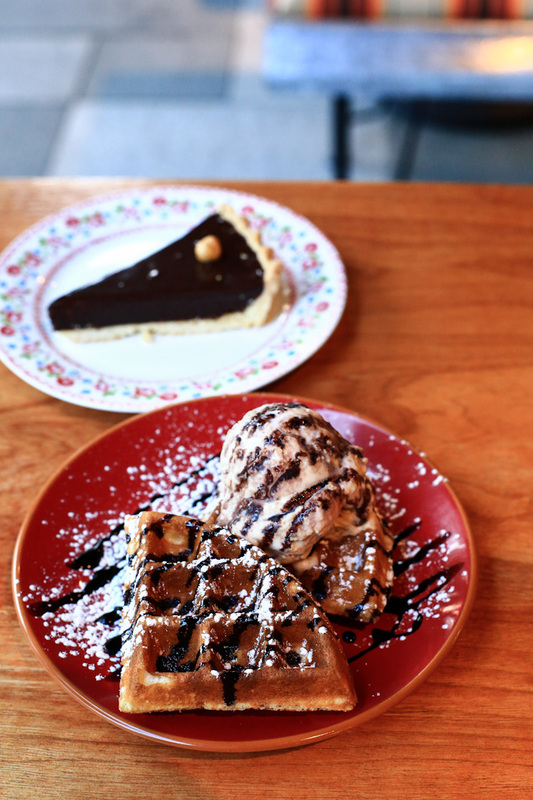 This place has some of the cutest waffles and ice cream we have ever seen. 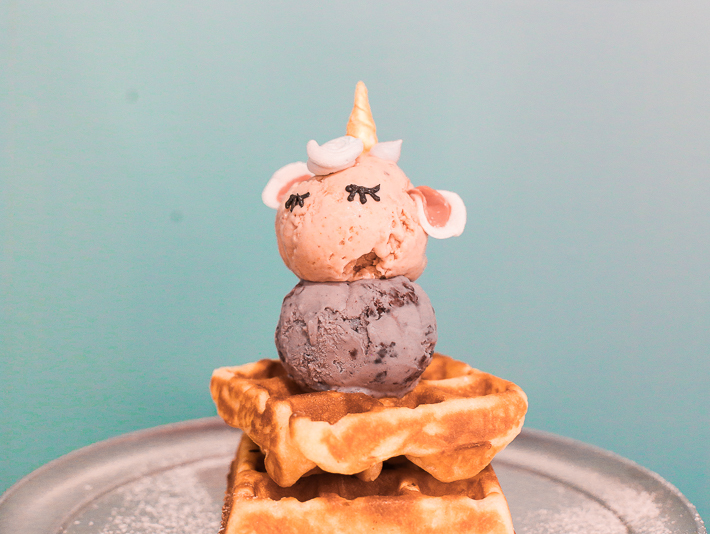 With adorable names such as The Miraculous Merlion and Pulau Unikorn Signature Waffles, these ice cream waffles are almost too cute to eat! Sunday Folks is not an unfamiliar name, and they are famed for their speciality, mouth-watering desserts that have won over every sweet tooth who has tried them. Have their creamy ice cream with their popular freshly baked Belgian waffles for a party in your mouth! 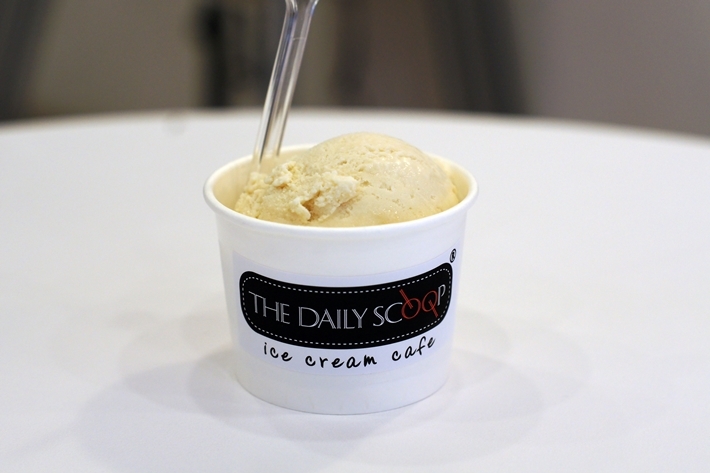 The Daily Scoop is one of earlier homemade ice cream places in Singapore that has been serving up great ice cream for the longest time. We love having our ice cream with their amazing brownies for it makes for the perfect combination! The Dark Gallery hails from Malaysia and they specialise in all things chocolate. They have a wide range of chocolate desserts like artisanal ice creams, pastries and hot chocolate. If you are a massive chocolate fan like we are, you should pay this place a visit! Since 2005, Tom’s Palette has been serving up rich and creamy homemade ice cream that is made from scratch. They are popular for their exotic flavours such as Gingerman and Colonel Potong. Their ice cream flavours change periodically, so do keep a look out for their next creation! 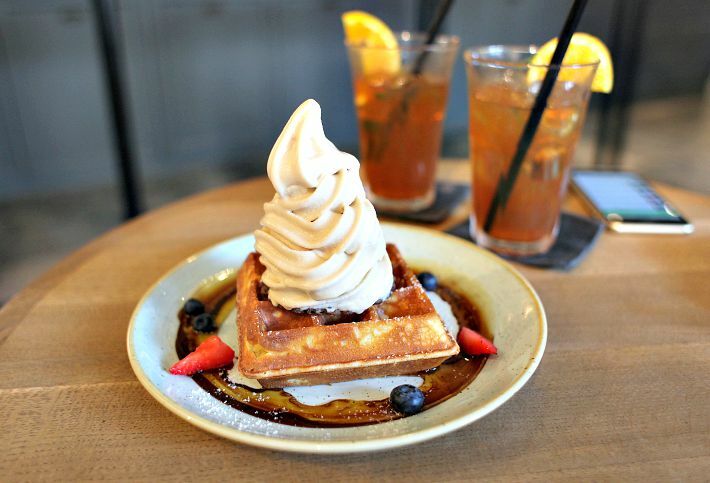 If you love charcoal waffles and sea salt ice cream, Twenty Grammes is the place to be. 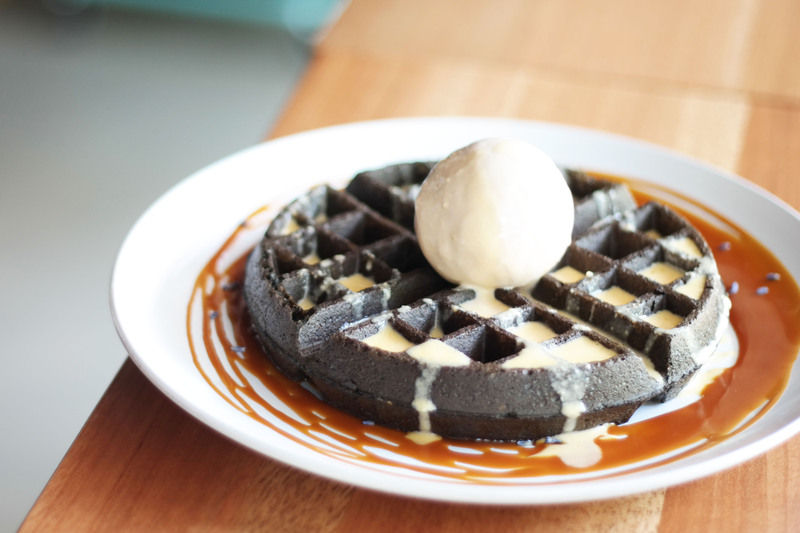 Their charcoal waffles are a must-try and are crispy on the outside yet fluffy on the inside. They also serve up mouth-watering soft-serve froyo waffles for those of who you love a classic old soft serve. Udders is definitely a must-have on any ice cream guide and has been a popular favourite for years. This local homegrown ice cream shop is famous for their liqueur-based, alcoholic ice cream such as Rum and Raisin as well as Bailey’s & Bourbon. Besides that, they have a number of other popular flavours such as Cereal Killer and Orange Choc Bitters. Wimbly Lu is a little inaccessible, but it’s definitely worth the long journey in. They sell plenty of different foods, but their forte definitely is in dessert and ice cream. Their must-try items here are their ice cream waffles and it has never failed to taste sinfully good. We don’t know how they always manage to be so consistent in making such crispy yet fluffy waffles. Venchi sells some of the most luxurious, creamy ice creams around that are incredibly rich and smooth. We like how the gelato is slightly tacky, giving it a more interesting texture. While all their flavours taste amazing, we especially love their Giandujotto, and we highly recommend it to all of you out there who love your chocolate.